Summer is almost over, so here’s a broad recap of school, band, and my photography. I just found out that I’ll finally be a college [undergrad] student again at Cal Poly Pomona starting in Winter 2011 (January). That’s about two months from now. Incredible! It’s not fun to be haunted by a mediocre scholastic past. My sights were set on applying at the University of La Verne.[1. Our drummer, James, currently attends there and will be graduating next year.] Since its a private university, and James said they have have a program for students over 25, I thought I’d have a better chance. I’d deal with the high cost of the student loans. Fortunately for me, it looks like Cal Poly carried over my Fall 2010 application to Winter 2011. This has to be a miracle. I don’t see it any other way. Skimming through my past writings at my self-titled (non-active, but viewable) WordPress.com blog, I’ve been re-applying to Cal Poly Pomona since 2006. College: Do I still need it? I have several Cs which are bringing down my GPA to about 2.57. A few years ago, my GPA would be acceptable to CSU schools. Because of our recent budget crisis, that’s not the case. It’s not possible to retake classes in which I received a C since that’s technically passing. I’ve retaken every class possible. There aren’t any Ds, Fs, or withdrawn classes on my record. Academic renewal isn’t needed. My friend, PJ, tells me I should try Pitzer College or any of the Claremont Colleges. (He graduated from Pitzer.) To paraphrase his advice to me or anyone in college: take classes you’ll actually enjoy or be miserable. Another friend, James[1. You may know him as our awesome drummer for The Scarlet Paradigm. He’s a student at the University of La Verne and only has good things to say about it. ], suggests to look into the University of La Verne. You already know I love photography. But, people seem to suggest that a major in business or marketing would be more helpful. My internal conflict is committing to a program for a couple of years that I actually like. I’ve been subscribed to Rangefinder Magazine for almost a year now. I also follow several photographers online. What I’m finding is that a lot of them didn’t major in photography. Scott Bourne was a Political Science major. Jessica Claire was an English major. So, I’m at a crossroads. The application deadline for students applying for the fall semester is April 1. Students applying for spring semester should submit their applications by December 1. Ultimately, I want to be a Linchpin. If you have any thoughts or encouragement, please leave a comment or send me an email. If you’re a Debbie Downer, don’t be surprised if I delete your comment. After all, this is my house. Thanks! Posted on June 12, 2010 September 16, 2011 Categories Life, SchoolTags analysis, college, self-analysis3 Comments on College: Do I still need it? I tried to get this scanned print as close to the real thing as possible. I cropped out the white borders since they weren’t clean. I didn’t write down how I exposed this in the enlarger – shame on me, I guess. 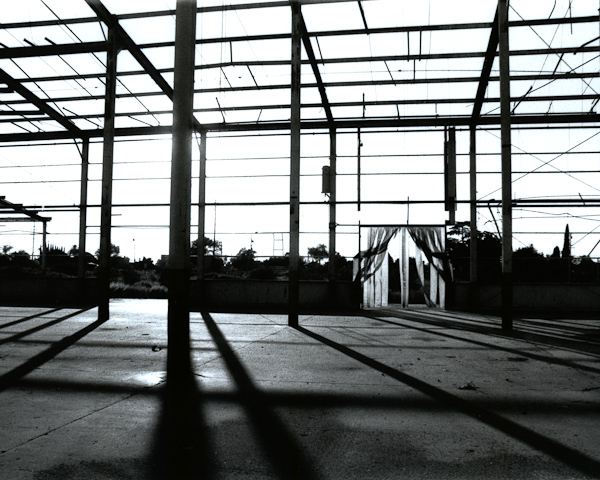 I’m taking basic photography at Citrus College, which is mainly film-based. We need to develop film and make our own prints. I promise I was following what its meter told me! And yes, I tried metering with my Canon EOS 40D and they essentially matched. Since some photos were turning out just the way I imagined, I don’t think it’s a broken meter. I was jealous of my classmates’ correctly exposed photos. A couple of them had Canon cameras that supported EF lenses. Why not me? So, I started searching for a Canon 35mm film camera. 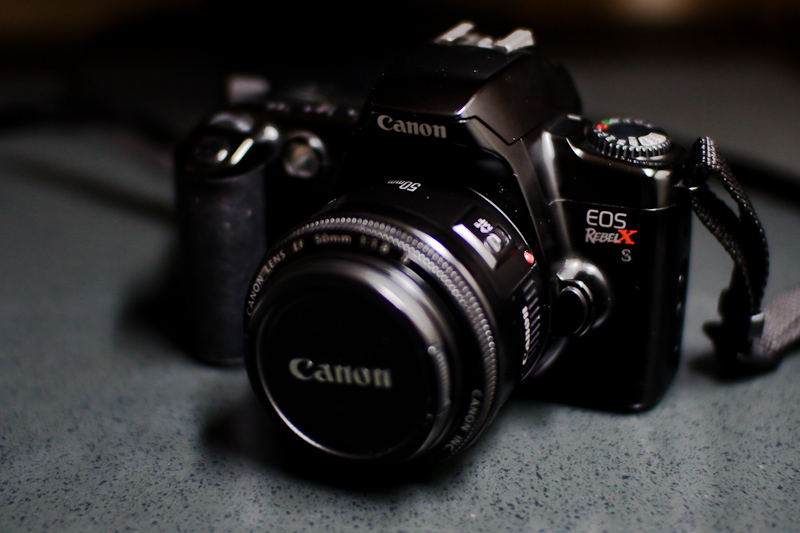 I got close to buying a Canon EOS Rebel G for $54 from a nearby eBay seller. Fortunately, Gerald heard my plea on Twitter and gave me his unused Canon EOS Rebel XS (35mm film SLR)[3. Body only. I already own that lens.]. Thanks man! Bonus: My current lenses will work with it — score! I got 100% my last test[1. Test #4 covered Complex Numbers, Trigonometric (Polar) Form of Complex Numbers, and the Product and Quotient Theorems.]. Until Thursday morning, I’ll stay away from the internet[2. Other than at work, of course.] and study in hopes of getting an “A” on my final. Don’t ask me about my summer class. One thing at a time. One more thing: Go Lakers. I’m taking Trigonometry because sine, cosine and tangent are my favorite functions. Like I said a couple weeks ago, I’m back in school at Citrus College. I’m retaking [Plane] Trigonometry because I flunked it a long time ago. My senior year in high school, I took an online course from Bakersfield College – statistics. That fulfilled my math requirement for college. However, when my college counselors were looking at my transcripts, asking me about when I took stats, they just understood that I took it in high school. The important part? It was a college course. They insisted I that still needed a math class. I didn’t try to clarify. (How much simpler could it be?) When I took it, I was overwhelmed and failed miserably. I choked this situation because I didn’t try to explain further. They choked it because they didn’t read carefully. So, other than raising my GPA so Cal Poly Pomona will accept me, I’m retaking a course that won’t make a difference toward my Computer Information Systems degree. What else are you taking? That’s it. I feel slow at grasping the concepts compared to others. So, I’m not taking anything else. When I’m not at school, I’m either doing homework or working. I still carry my camera everywhere, but I [seriously] photowalk on the weekends if I’m not tired. I’m still open for [natural light] portrait sessions and band photography. Just contact me, m’kay? Aren’t you in a band, too?